Each reloadable round boasts a reloadable brass casing, semi-jacketed soft-point bullet, a boxer primer, and non-corrosive propellant. 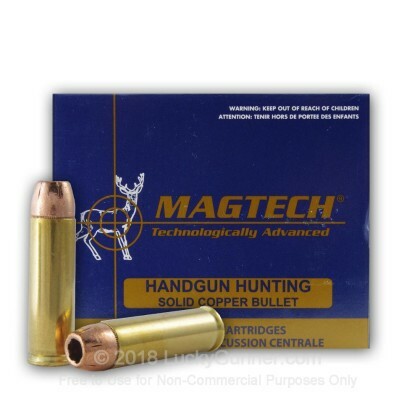 The bullets are designed for maximum energy transfer upon impact while at the same time ensuring controlled expansion. Good price and shoots well through 10.5 inch barrel of my 500 Mag. 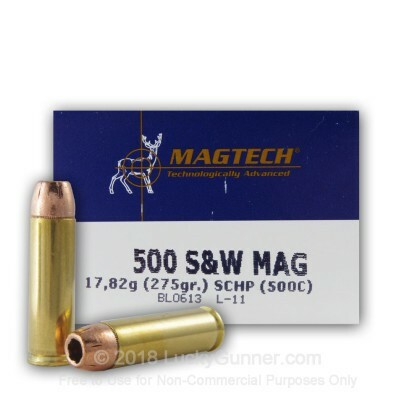 If you want to shoot alot with a 500, 275gr is a good size. Very managable. Lucky Gunner service is very good. I'll buy here again for sure. Hard to find ammo, let alone at a good price. Lucky Gunner had them for both. Very happy with Lucky Gunners service and shipping. I had called with a question for them about ammo and their staff was able to answer me right away. Thank you guys for the quick delivery. 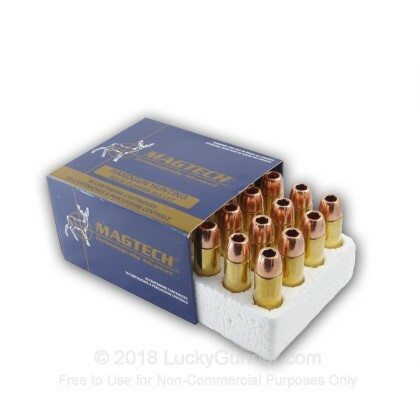 Great ammo, good for target shooting. Loud as hell but not to hard on your hands.